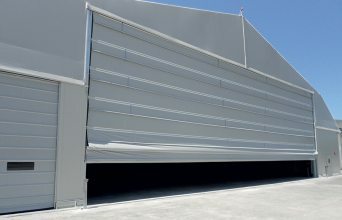 A wide range of exclusive extruded profiles made of aluminium alloy enables COVER TECHNOLOGY to manufacture clear span buildings, minimising the overall weight of the structure, facilitating assembly and reducing the need for maintenance even after several installations and use over the years. 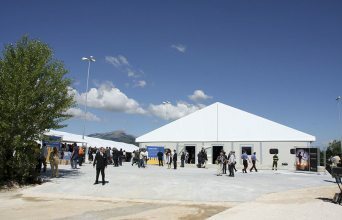 Cover Technology is highly skilled in the rental of turnkey tensile structures and related accessories for events, exhibitions, parties, sports and ice rinks. 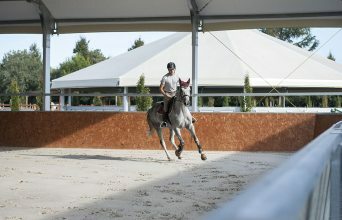 The company designs and rents dedicated solutions, like temporary warehouses and covers for horse riding arenas. 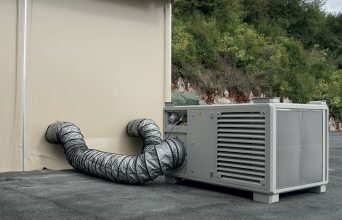 Installation is fundamental and must be carried out by experts who have full knowledge of the modular structures. Cover Technology has an experienced team of engineers and installers to guarantee high quality through shipping and installation. 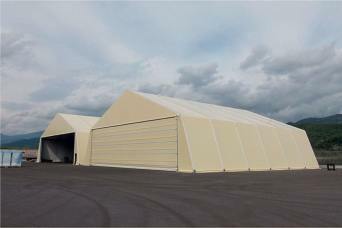 Cover Technology has dedicated a whole floor to its Technical and Training areas. The classroom accommodates up to 25 participants to train the technical staff assigned to abroad assembly operations and provides education on design and new regulations. At Cover Technology, the keystone of the production process in the outdoor coverings sector is the research and development department, capable of combining efficiency and quality from the earliest stages of the project. 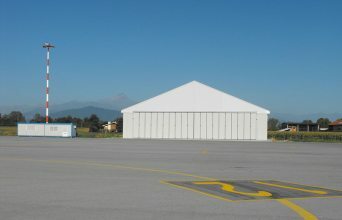 Thanks to an outstanding team of engineers, researchers and technicians working in cooperation with universities and a number of testing laboratories for certification, Cover Technology guarantees the use of eco-sustainable technologies for application to the production of tensile structures and state-of-the-art large coverings. 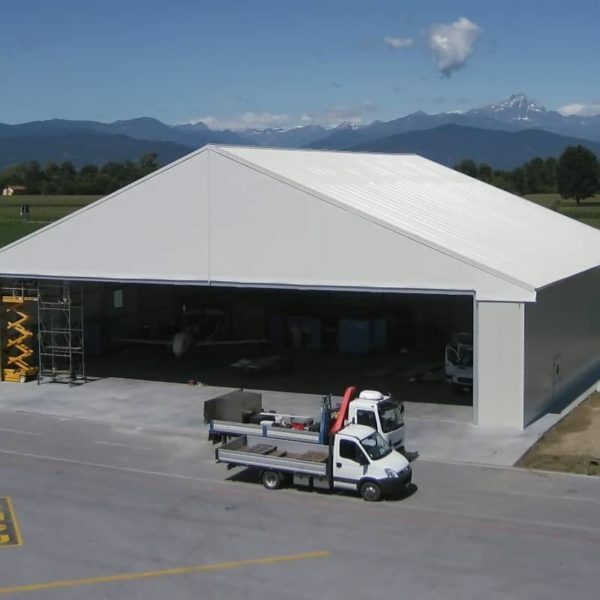 Ceaseless research and efficiency also ensure short working times for the installation of customisable large covers and tensile structures. 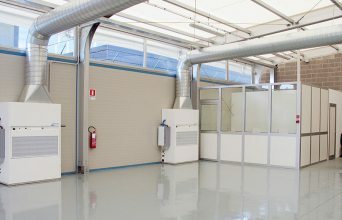 Cover Technology products are entirely manufactured in its Italian-based plants. 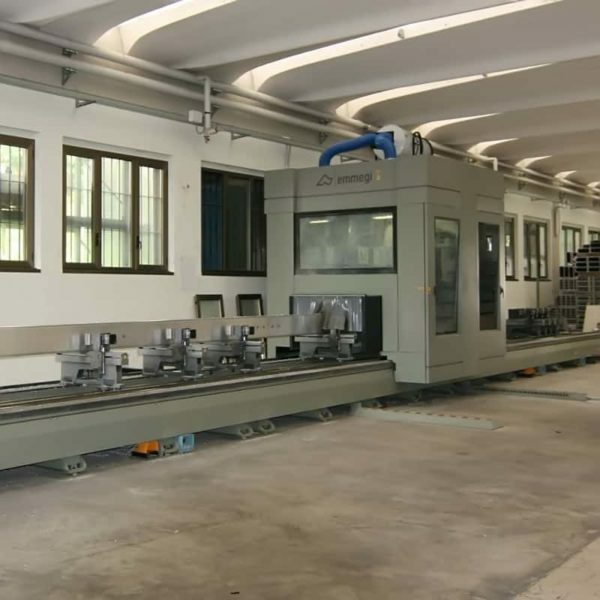 Thanks to the use of machinery and automated production systems, following the most innovative techniques Industry 4.0, the quality and traceability of each material is guaranteed for the entire production chain. 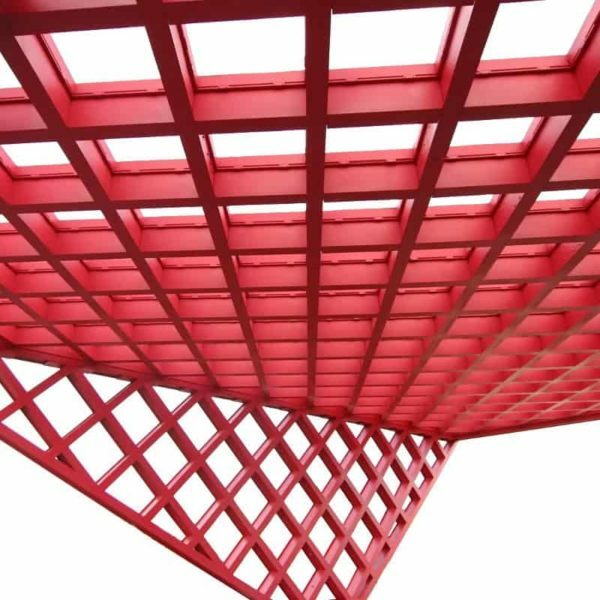 The increasing integration between planning and production allows to face new challenges, where the high level of product engineering is the only solution to satisfy any kind of need, combining efficiency and efficacy in the best way. 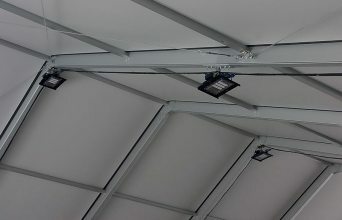 The modular design of Cover Technology buildings and the specific system to anchor them to the ground allow our products to be installed in just a few hours at a time, without any special equipment or any concrete plinths for foundations. 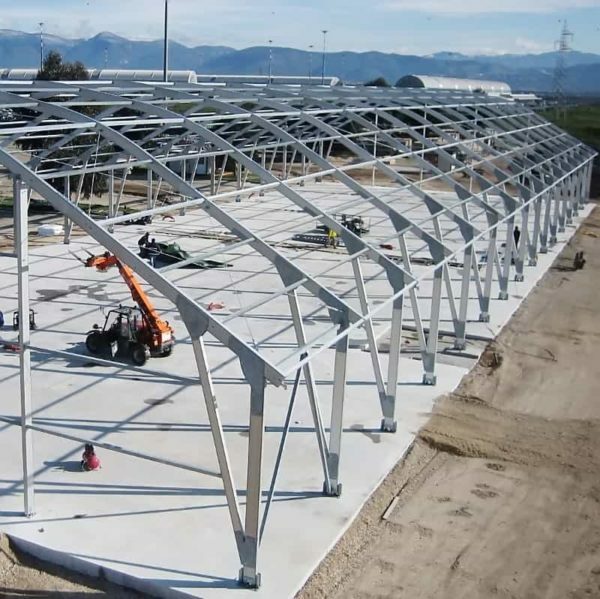 Cover Technology, offers installer teams with decades of experience at customers service for an efficient and rapid assembly, deploying its resources worldwide. Cover Technology takes care of your structures over time, keeping them in optimal working order for years at a low, fixed, programmable cost. In spite of the high quality of the materials used and the high degree of engineering, which in fact minimises the maintenance required, we believe that proper, scheduled maintenance can extend any product’s working life, with no exceptions, enabling you to work with complete peace of mind.